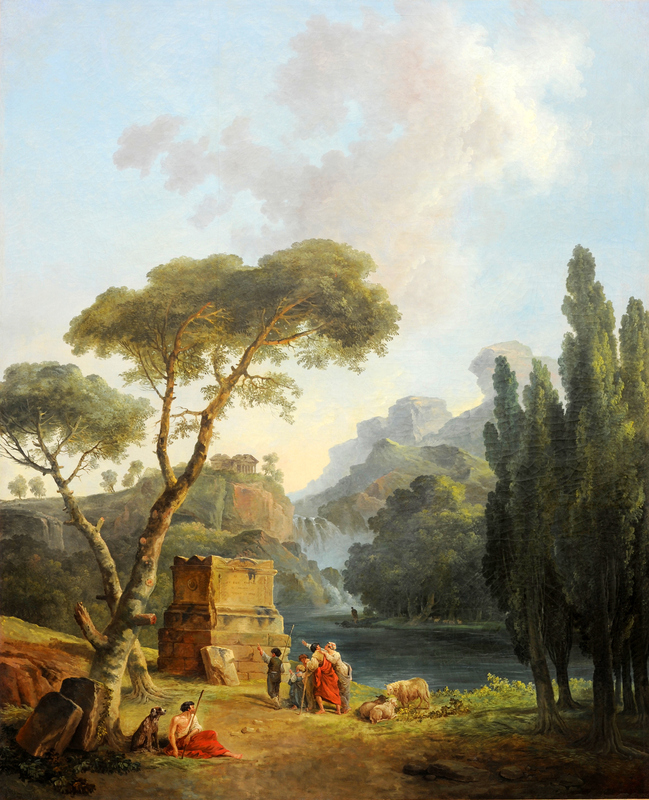 Hubert Robert – Musée de Valence 2004.3.1. Title: Les Bergers d’Arcadie. Date: 1789. Materials: oil on canvas. Dimensions: 208 x 108 cm. Nr. : 2004.3.1. Source: http://www.museedevalence.fr/fr/18e-siecle/les-bergers-darcadie. I have changed the light and contrast of the original photo.